The Mitsubishi Outlander Plug-in Hybrid remains the most common ultra-green car on the road in the UK. However overall sales growth of the greenest vehicles slowed in the last quarter. There were 12,066 Outlanders licensed at the end of Q2 2015, compared with 9,773 at the end of Q1 2015 – a 23% increase. By comparison there were 9,310 pure battery-powered Nissan Leafs, a 13% increase on the 8,274 figure three months earlier. Third in the list of licensed vehicles that qualify for the government’s plug-in car and van grants is the BMW i3 (2,484, up 14%). The figures are revealed in analysis of DVLA data by the RAC Foundation. Overall, at the end of Q2 2015 there were 35,241 vehicles on the road in the UK that were eligible for the grants, a rise of 19% on the Q1 2015 figure of 29,673. But this is down from the 38% growth during the previous quarter. To put these numbers in perspective, in the UK there are 30.9m cars and 3.7m vans. Therefore those vehicles licensed and eligible for the plug-in car and van grants make up 0.1% of the total: roughly 1 in every 1,000. This is the list of the top-20 vehicles on the road – as of the end of Quarter 2 2015 – which are or have been available under the plug-in car grant scheme (worth up to £5,000 per vehicle) and the plug-in van grant scheme (worth up to £8,000 per vehicle). Note: As of today there are 36 models that are, or have been, eligible for the plug-in car and van schemes. The full list is in notes to editors. Some of the vehicles above might have been bought without the grant. Others might be licensed to manufacturers and dealers rather than customers. “The march of Mitsubishi continues with the latest data showing the Outlander plug-in hybrid extending its lead over the Nissan Leaf as the most popular ultra-green car in the UK. “The success of the Outlander looks to be down to three things: a high-profile advertising campaign, good range, and probably most importantly competitive pricing which makes it as affordable to buy as the diesel equivalent. “But that price is dependent on the government grant. Ultimately all ultra-green cars will have to stack up commercially when the grants are withdrawn. What ministers must ensure is that both consumers and manufacturers have a clear idea of when and how the scheme will come to an end. “The interesting question is whether Mitsubishi are making money from this model or using it as a loss leader to gain market share and drive out competitors. 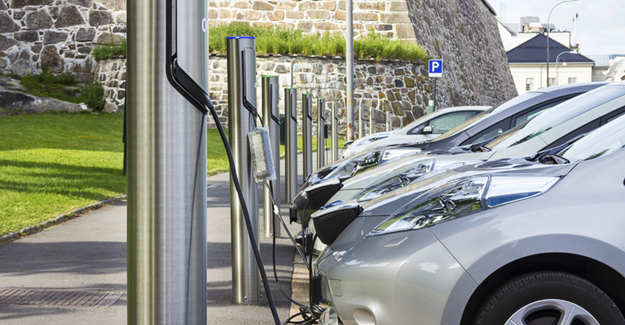 This is the full list of vehicles that are, or have been, available under the government’s plug-in car and van grant schemes and how many were licensed as of the end of Q2 2015 (with Q1 2015 and Q4 2014 as comparisons).